Living in an overcrowded city is a very different experience than simply visiting one. 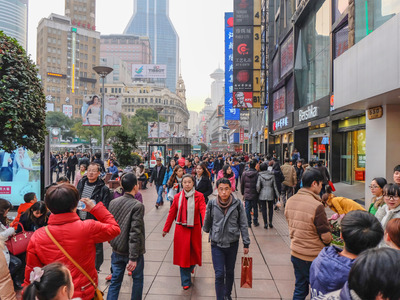 Business Insider looked at cities around the world crowded with residents and tourists to see what it’s really like to live there on a daily basis. Some cities even have fewer locals than tourists. For example, Paris, France has a total population of 11 million people but hosted 36.5 million tourists in 2016. While a tourist passes through for a select amount of time, locals are stuck dealing with large vacation crowds and navigating through other locals on lesser-known streets. Business Insider looked at cities around the world with high populations and millions of tourists annually to see what it’s really like to live there on a daily basis. Tokyo is the largest and most populated city in the world with 37.4 million inhabitants and had 20 million visitors in 2017.The city’s shopping hubs are jam-packed. 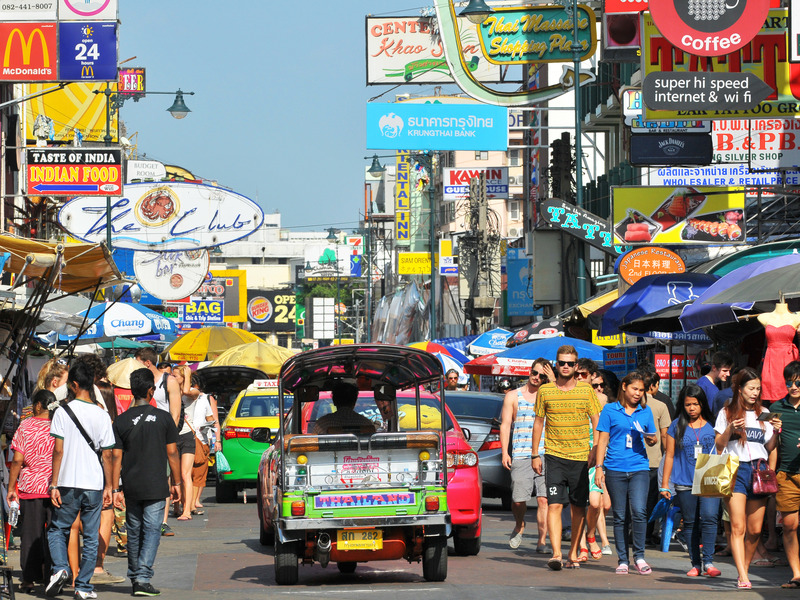 Some cities on the list have fewer locals than tourists. 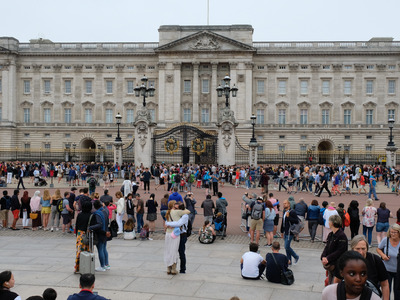 For example, Paris, France, has a total population of 11 million people had 36.5 million tourists flooding its streets and monuments in 2016. However, locals in cities like Dhaka, Bangladesh make up the majority of the crowds. 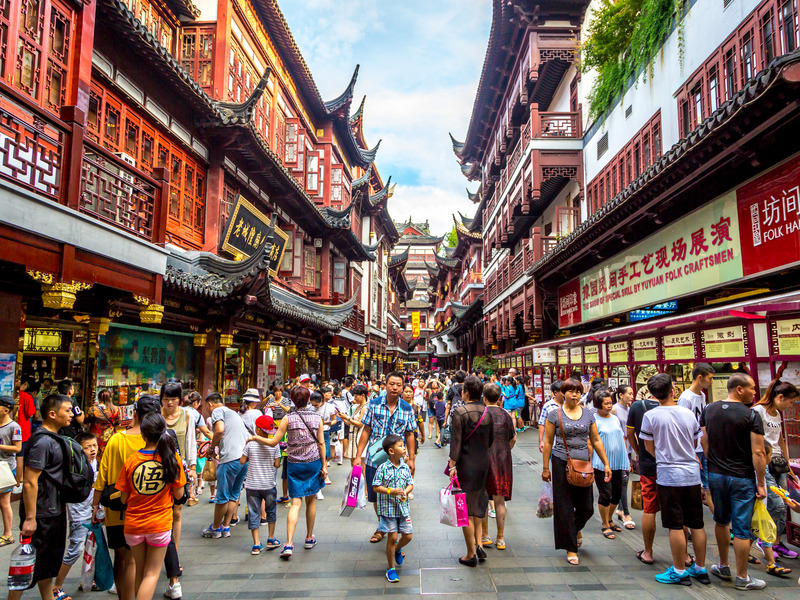 With 19.5 million residents in a total area of 300 kilometers, or about 186 miles, the city has a density of about 40,000 people per square kilometer. 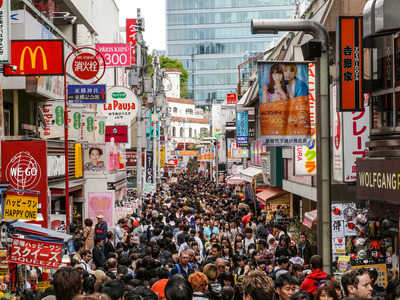 Check out what it’s like to live in the most crowded cities around the world. 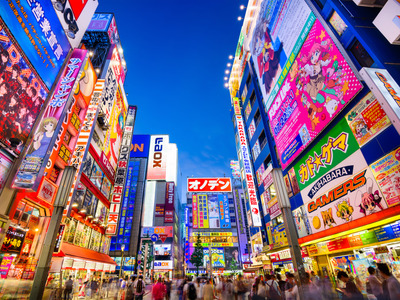 Tokyo, Japan, is the most populated city in the world with 37.4 million inhabitants. 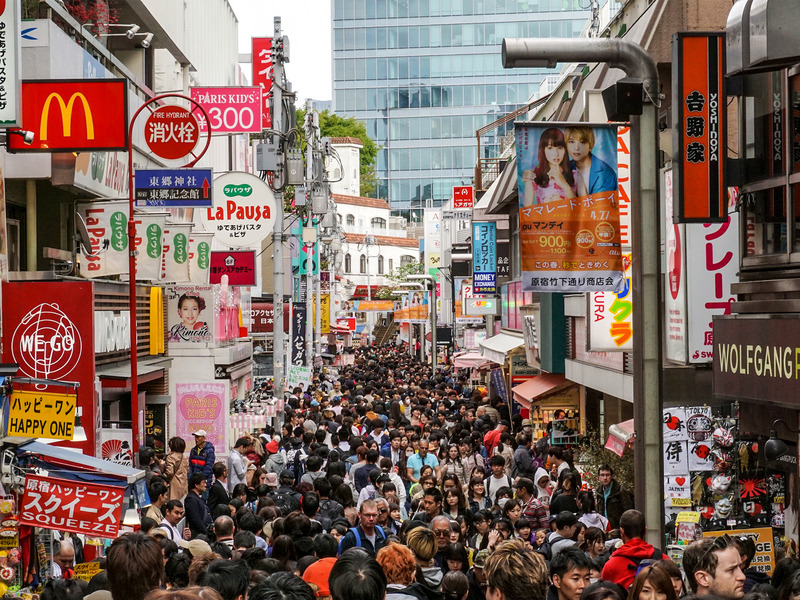 The narrow street of Harajuku is a colourful shopping hub known for its locals dressing up as Harajuku girls. 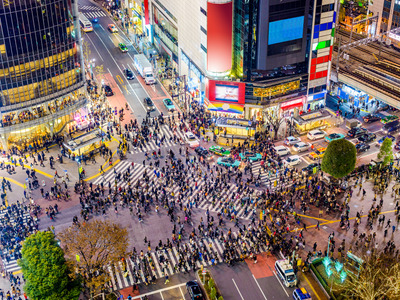 At a single time, up to 1,000 people can be seen crossing the street at Shibuya Station. 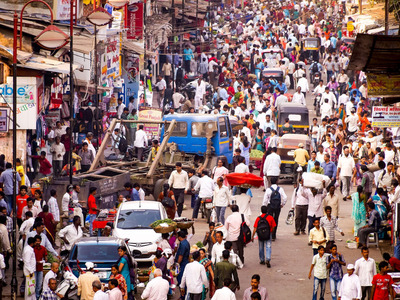 Delhi, India, squeezes 28.5 million people in the city spanning 573 square miles. 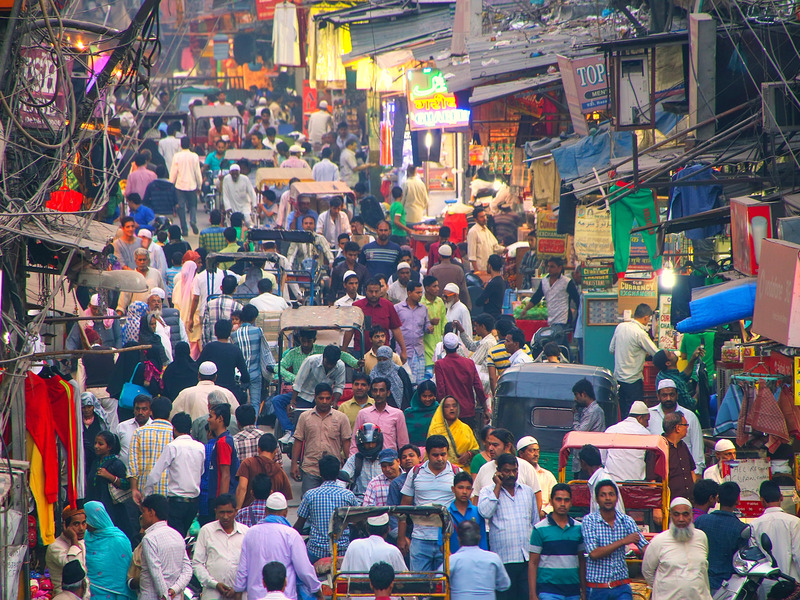 The main street in Old Delhi used to be a promenade for royals dating back to the 17th century. 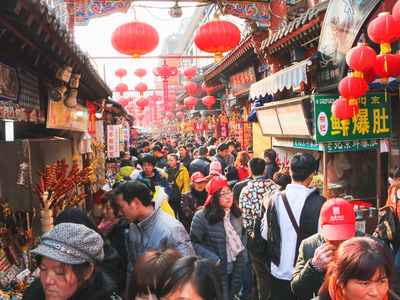 Today it is one of the most crowded marketplaces with wall-to-wall vendors selling everything from spices to wedding attire. 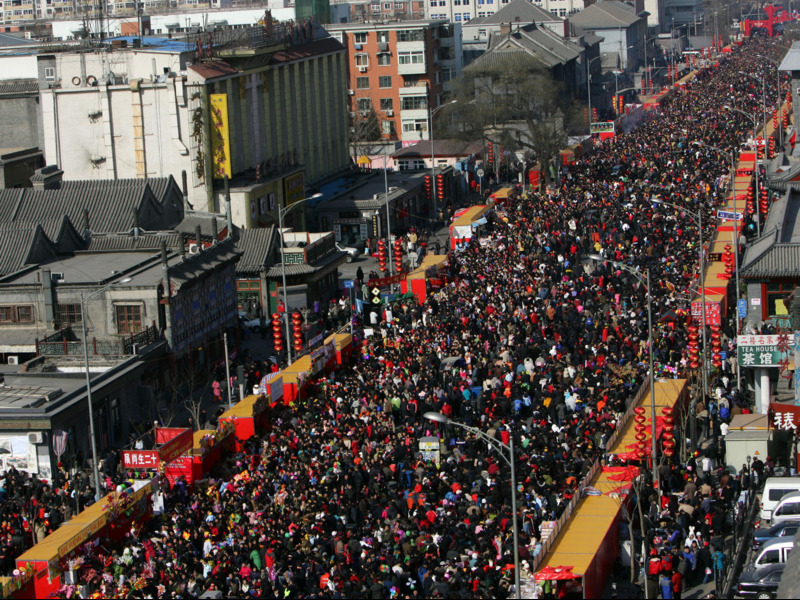 China’s total population is 1.4 billion, and Shanghai is home to 25.5 million. 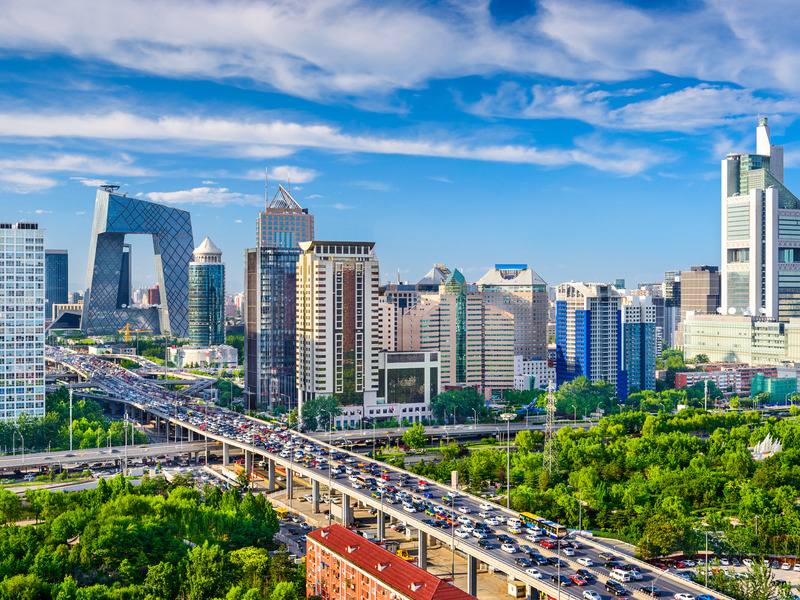 There are 154 skyscrapers — buildings taller than 150 meters, or 492 feet — in Shanghai. In 2017, China completed building 76 skyscrapers. 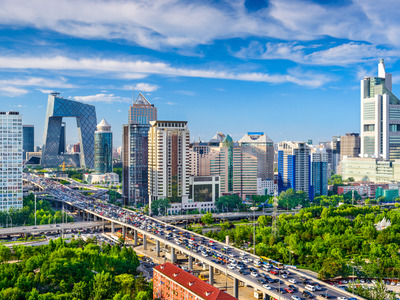 The second-largest city in China is Beijing with 19.6 million inhabitants. The traffic in Beijing is so congested, the government limits who can drive on certain days and regulates the law with designated licence plates. 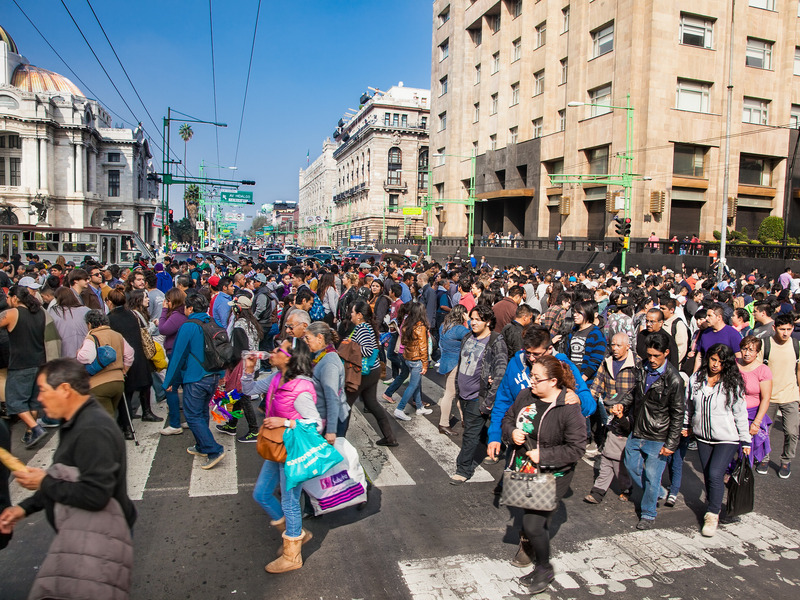 The most populated city in Mexico is Mexico City with 21.5 million residents. 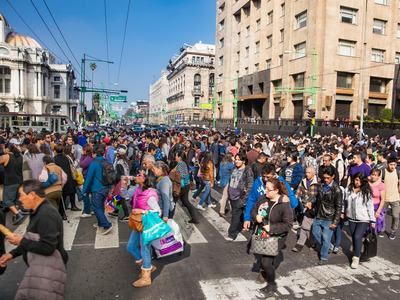 The metro stations in Mexico City are some of the most crowded transportation systems globally, ranking as the eighth busiest metro in the world and the second-largest rapid transit system in North America. More than 20 million people call Cairo, Egypt, home. With high tourist rates, the city is teeming with people. With a rich history, the city attracts several million tourists per year. In 2017, Cairo hosted 8.3 million visitors. 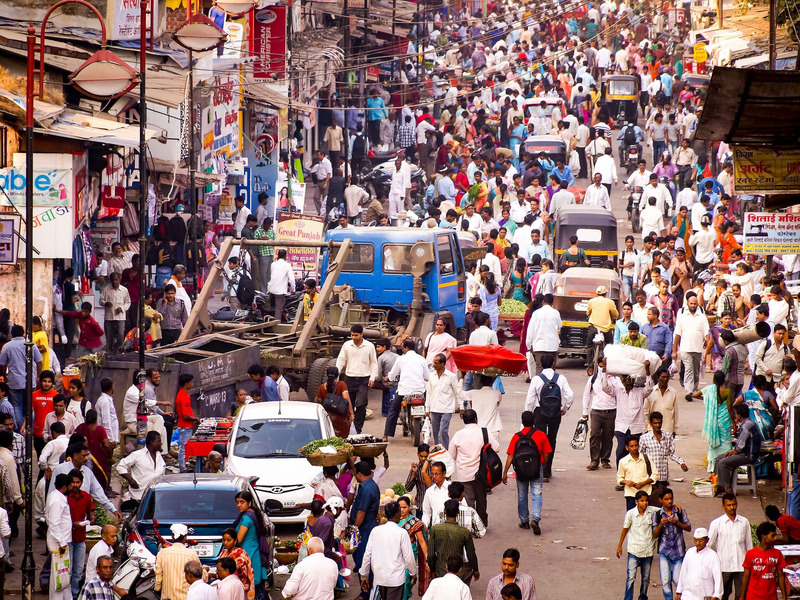 Mumbai is the second largest city in India with just under 20 million people. 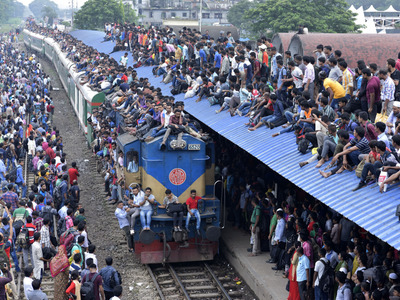 It is estimated that 7.5 million people use commuter trains daily in Mumbai. 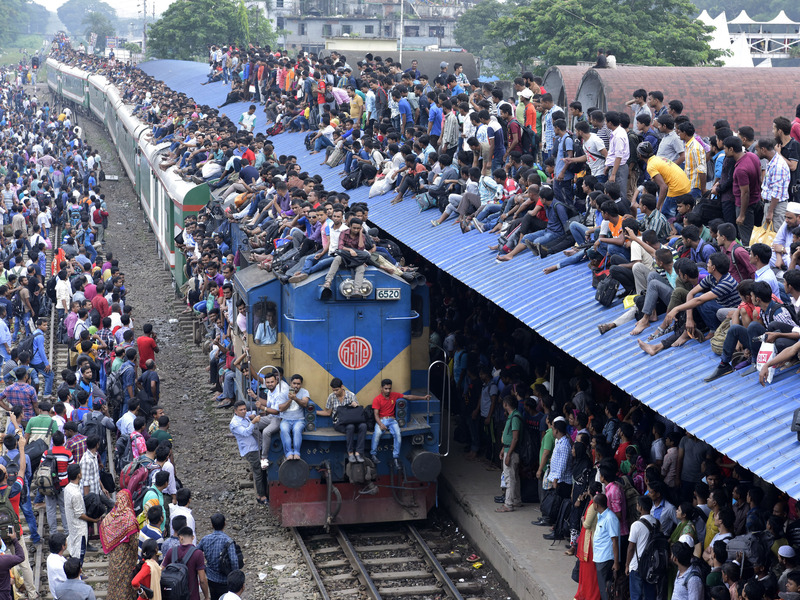 The overcrowding on the rail system has caused nearly 38,000 deaths since 2007, CNN reported. That’s an average of nine deaths per day. In 2017, a stampede at a Mumbai railway station killed 23 people and injured 39. 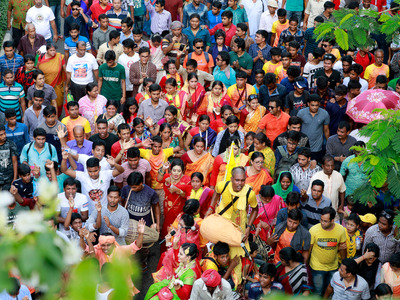 Dhaka is the largest city and most densely populated in Bangladesh. 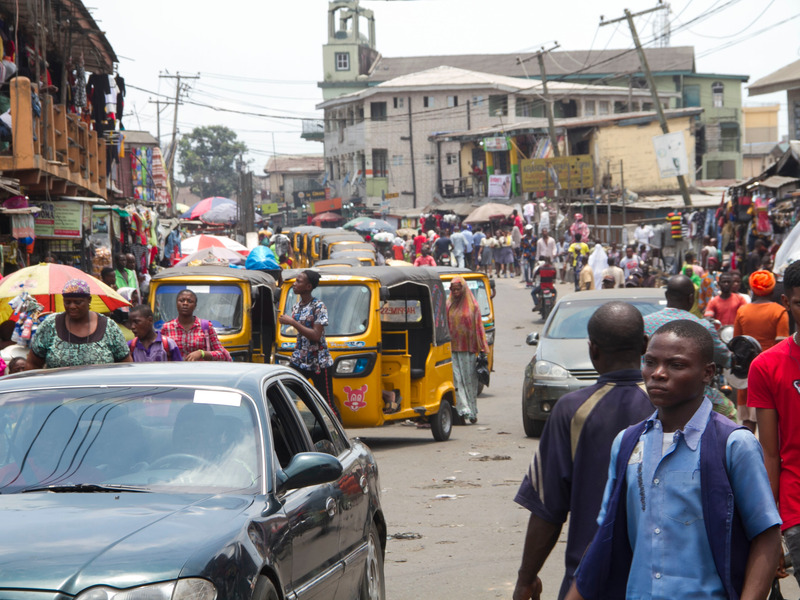 More than 19.5 million people reside in a total area of 300 kilometers — about 186 miles. That’s 23,234 people per square kilometer, which is just over half a square mile. To compare, New York City has more than 8 million residents, about 27,000 per square mile. 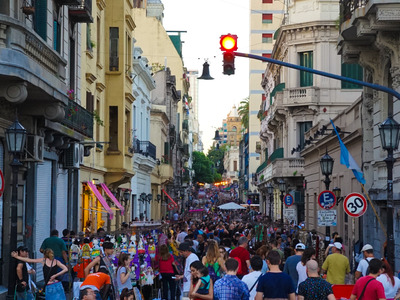 Buenos Aires, Argentina, is home to nearly 15 million people in just 78 square miles. The Sunday San Telmo market is a major attraction for locals and tourists. 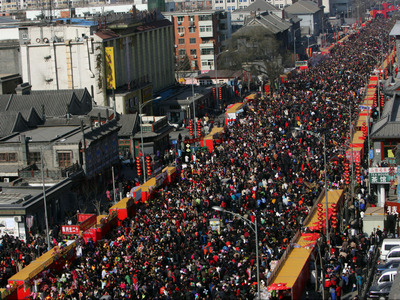 Huge crowds are drawn to the 270-stall open air market. Istanbul is the most populated city in Turkey with 14.7 million people. In 2017, an estimated 7 million foreign tourists visited Istanbul. 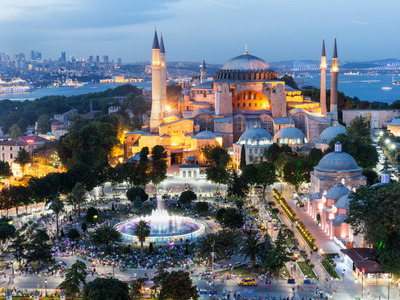 The Hagia Sophia, a former Greek Orthodox Church turned museum, is the most popular tourist destination in Istanbul attracting nearly 3.5 million people annually. Nigeria is the most populated country in Africa with more than 181 million people. 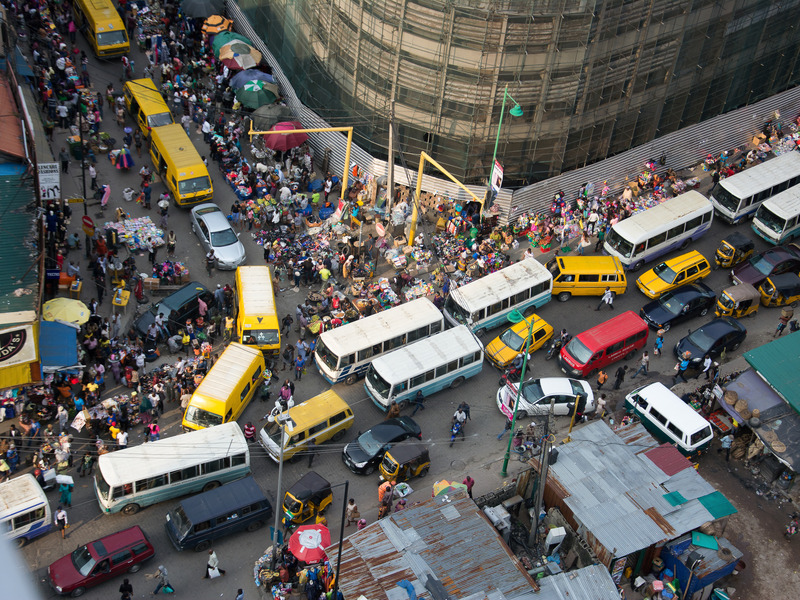 Lagos is the largest city in Nigeria and is home to 13.4 million residents. 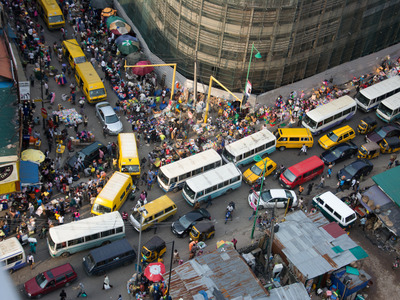 The oldest part of the city, Lagos Island, is connected by bridges to the mainland and home to the Jankara market and Balogun street market where stalls sell anything from linens to lipstick. 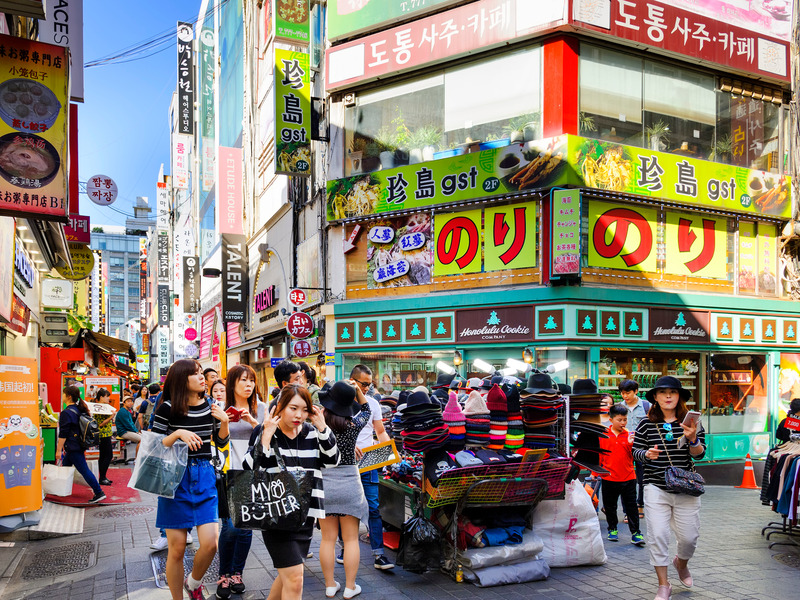 In the past two decades, vendors have pushed out international banks, airline companies, and real-estate firms in the area, viewed as a “reverse-gentrification” push. Rio De Janeiro, Brazil, is home to 13.2 million residents. During the 2016 Olympics, more than 490,000 people attended daily games. While Brazil prepared for the Rio games, 825 families were forced to relocate to neighbouring cities built by the government. The city saw up to 2,000 families relocate in preparation for the Olympic games since 2009. Russia is the largest country in the world and its capital, Moscow, is the most populated city with 12.4 million residents. 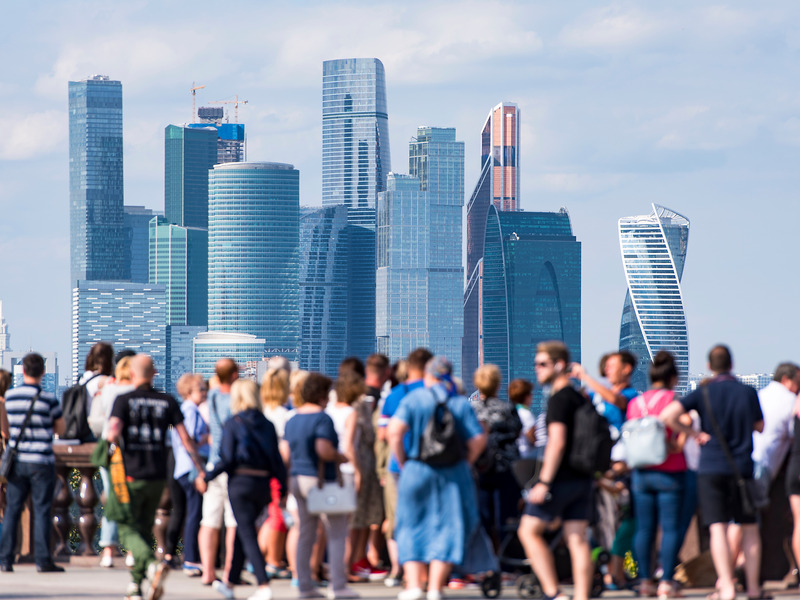 The 2018 FIFA World Cup drew tremendous crowds to Moscow. 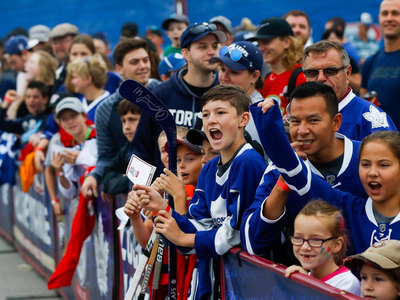 An estimated 2.5 million people went to the FIFA Fan Fest. But the crowds made it difficult to enjoy the views in the Red Square and Saint Basil’s Cathedral. Just under 11 million people call Paris, France, home. In 2016, the city saw an estimated 36.5 million visitors. The most popular tourist attraction is undoubtedly the Eiffel Tour where visitors wait up to three hours to climb to the top. A day away at the Chateau de Versailles isn’t any less crowded. The famous Hall of Mirrors will mostly reflect cameras. 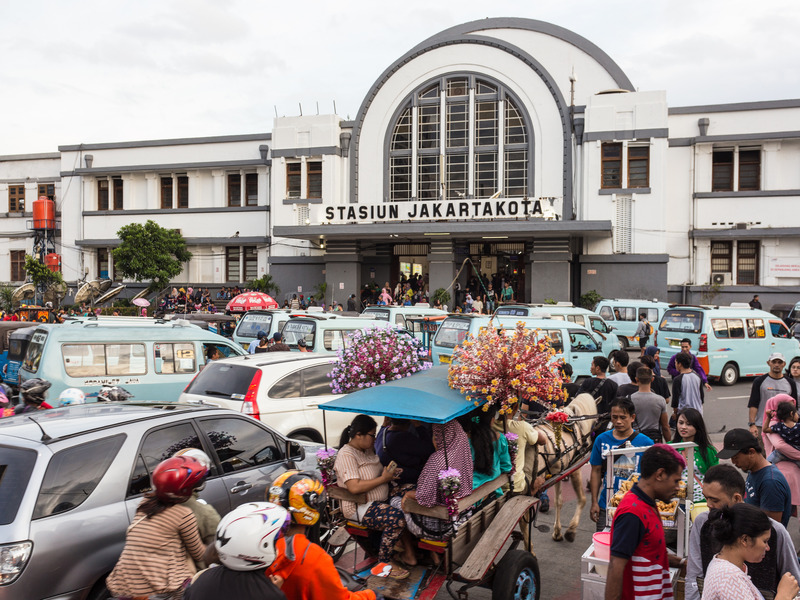 Indonesia’s capital city of Jakarta is the largest city in the country with 10.5 million residents. 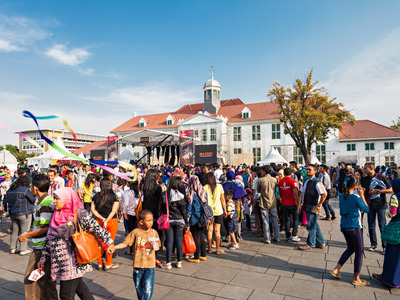 The Old Town square is a popular tourist spot but many travel websites recommend arriving early to avoid the mass crowds. 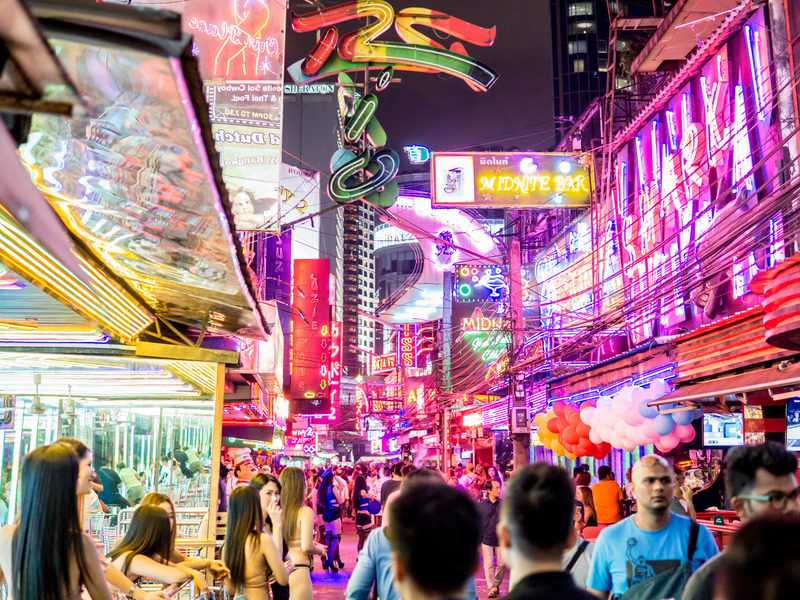 Bangkok, Thailand, holds more than 10 million residents in 606 square miles. 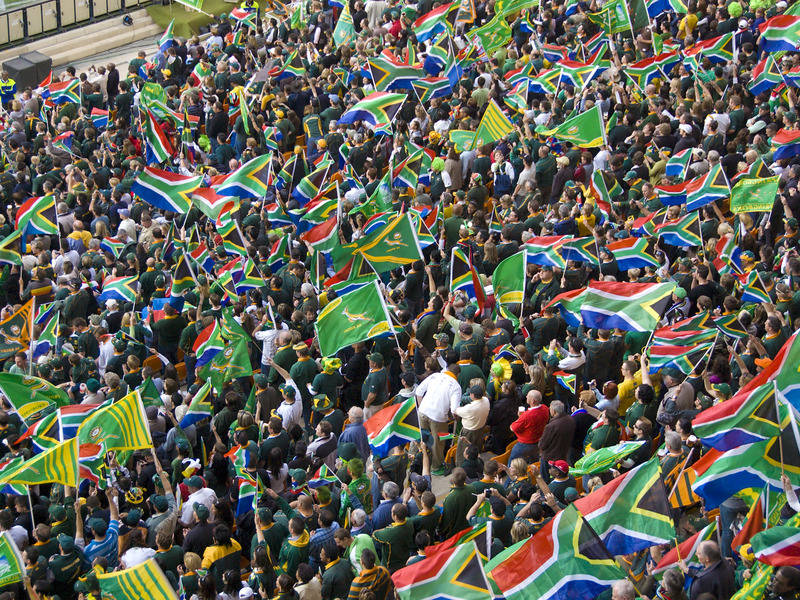 The city is home to 13% of the country’s population. The city has more than 150,000 taxis, any of which can take tourists to and from the Train Night Market. Fans of the “Hangover” movies can even do a tour of every site filmed in the second movie, including the bustling Soi Cowboy street lined with go-go bars. South Korea’s most populated city is Seoul with just under 10 million people calling the capital home. 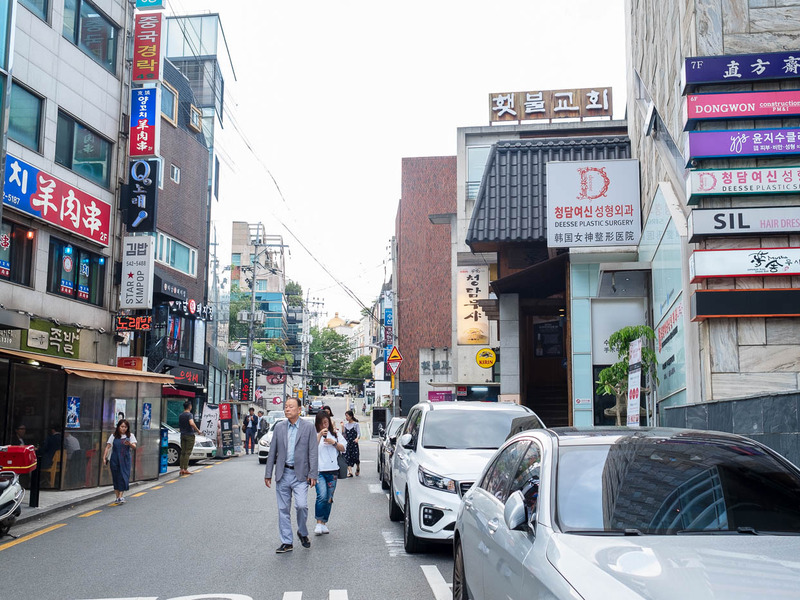 There are over 124,000 new cars registered in South Korea monthly, according to Trading Economics. The Gangnam district in Seoul is known for having limited parking space due to the amount of cars on the road. 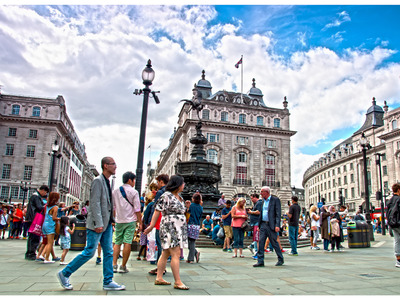 More than 9 million people live in London, England. 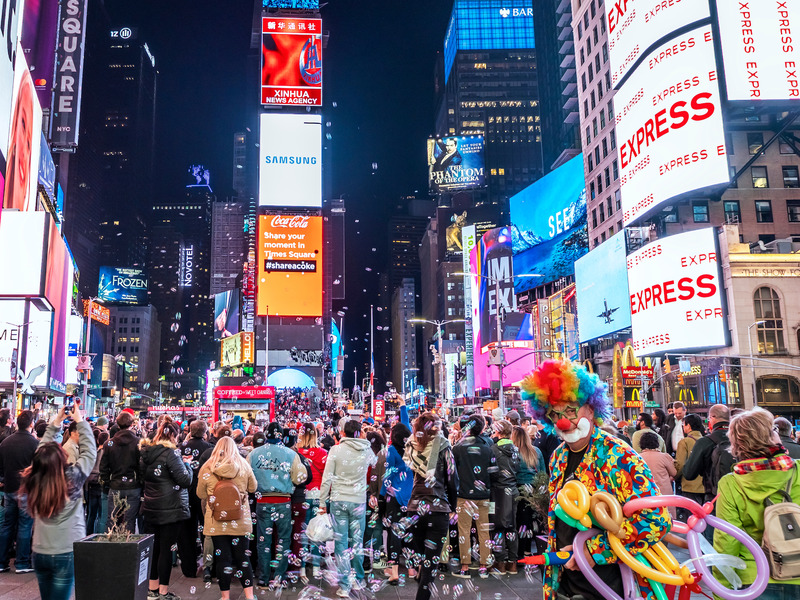 In 2017, a record 19 million tourists visited the city. 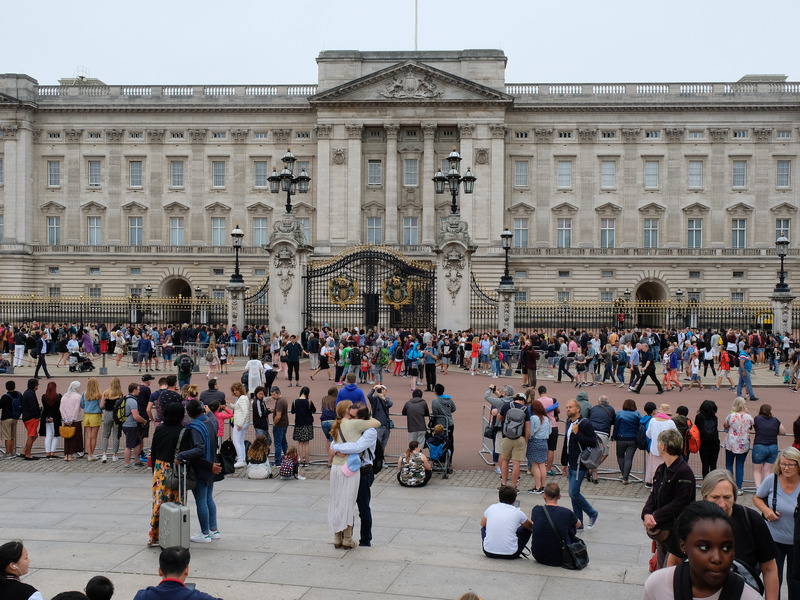 With 10 million more visitors than residents, the popular tourist destinations like Trafalgar Square, Piccadilly or Oxford Circus, and Buckingham Palace will have the biggest crowds. 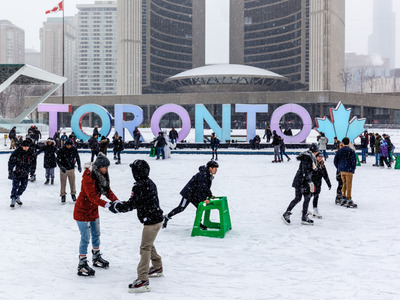 Toronto, Canada, is the fourth-largest city in North America with 6 million inhabitants. Downtown Toronto is a tourist’s dream. There is the Ripley’s Aquarium of Canada, the CN Tower, Steam Whistle Brewing, and the Rogers Center where the Blue Jays play all on the same block — game day crowds are no joke. The largest and most populated city in Spain is Madrid with 6.4 million people calling it home. 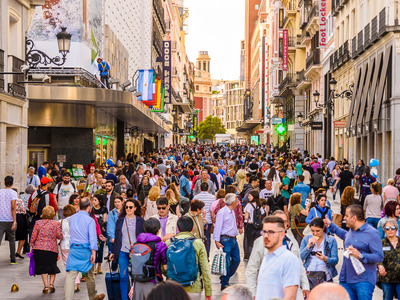 Travelling to Madrid during Easter is both remarkable and overly crowded. 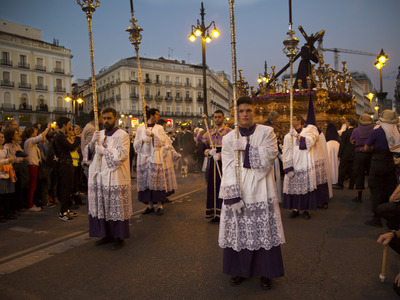 The Semana Santa, or Holy Week, is a weeklong religious observance with parades and prayer. 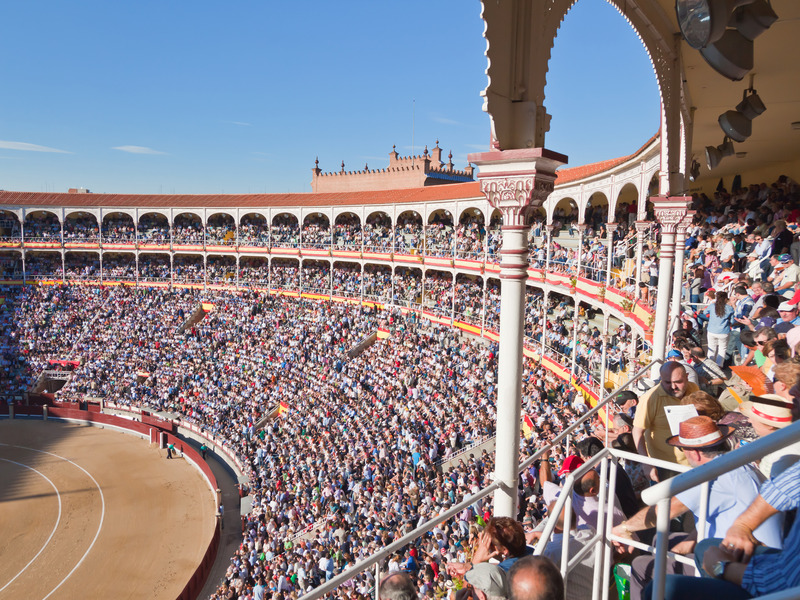 Bull fights are famous in Madrid, though tourist attendance isn’t as high as local attendance. 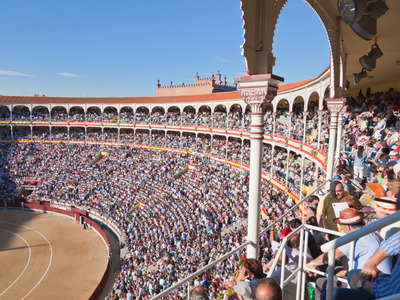 Today, the Plaza de Toros de Las Ventas arena fits 20,000 spectators. 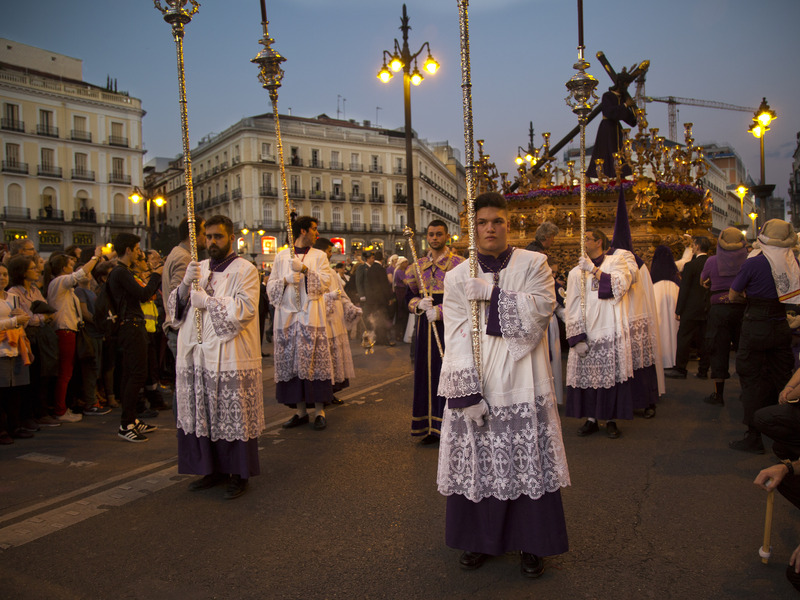 There are also six weeks out of the year where bull fights happen daily during the San Isidro festival where locals take to the streets and dress up in traditional Madrid costumes. 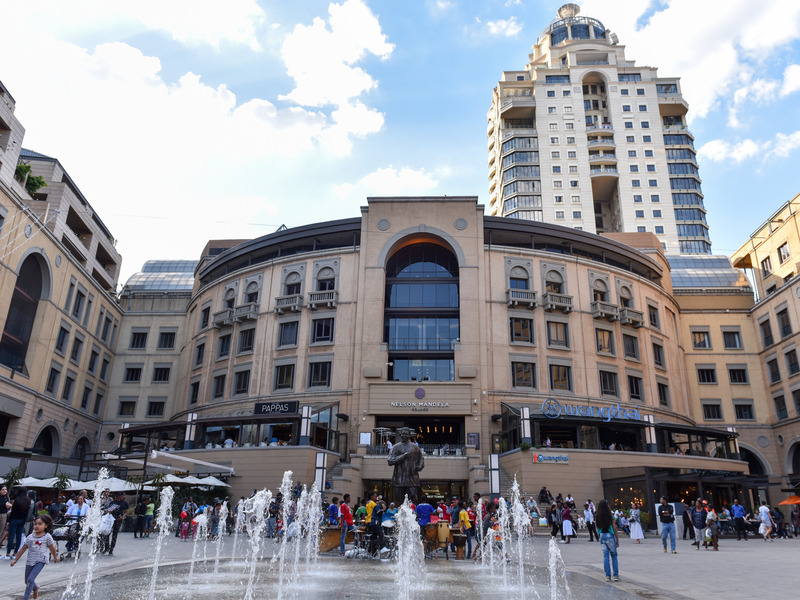 Johannesburg, South Africa, is home to 5.4 million residents. 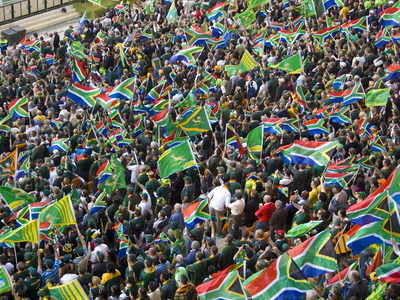 The FNB soccer stadium is a favourite spot among locals and fits 94,736 spectators. In 2010, the stadium had a record attendance of 94,713. 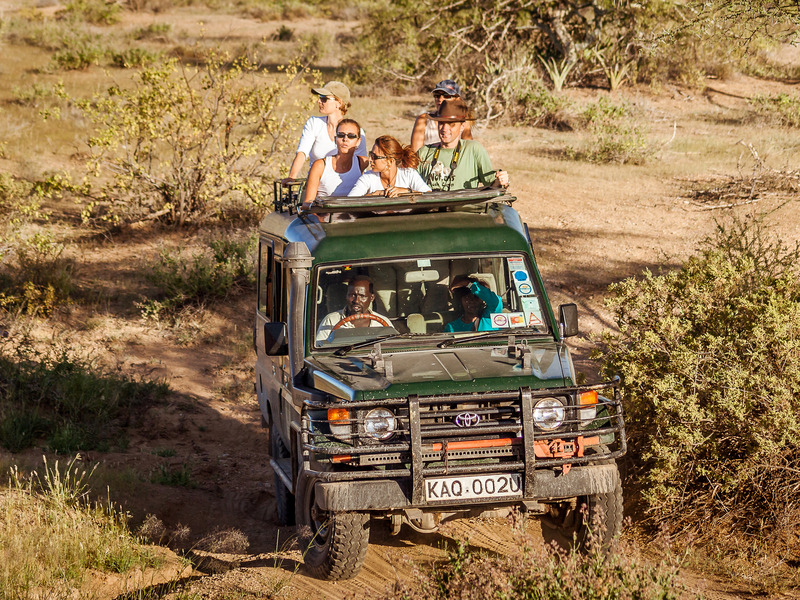 Safari experiences are a major tourist attraction in Johannesburg, but several safari vehicles can be over crowded and with limited window seats — some tourists get stuck cruising in the middle.